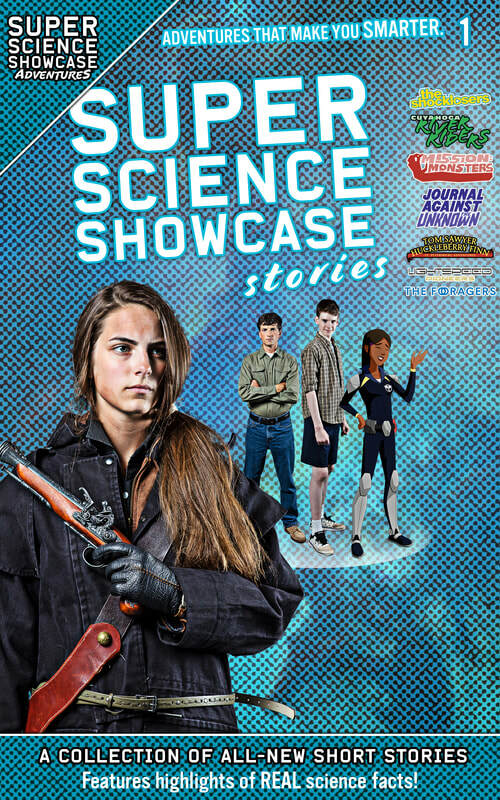 Enjoy your free copy of Super Science Showcase Stories volume 1! Featuring short stories and novel excerpts featuring ALL the Super Science Showcase heroes, this anthology is a perfect follow up to seeing the Super Science Showcase film, as well as a great introduction to new audiences! Fixed format epub. Reflowable epub coming soon. Tested and verified on Google Books and other epub readers. Fixed format Mobi. Reflowable Mobi coming soon. Amazon ebook version FREE on Kindle Unlimited. Print version also available.